You’ll never forget your first time. Huddled in a hallway three feet wide, arms reaching every which way for a cup or a beer or the microphone. It’s hot and it’s messy and it’s noisy and everyone is pushing against everyone else but it doesn’t matter because your best friend is at the front of it all belting Total Eclipse of the Heart (how did she just hit that note) — and the world outside is whirling by in a blur. It’s incredible. And now the RVIP Karaoke RV is ready to take the country by storm. Today, the people behind this legendary tradition are announcing that they’re turning their passion into a full-fledged company. The papers have been filed, they’re fully insured, and the RV fleet has doubled in size (to two — with more on the way). For those that haven’t been fortunate enough to take part in one of these karaoke-infused voyages, here’s a little background. 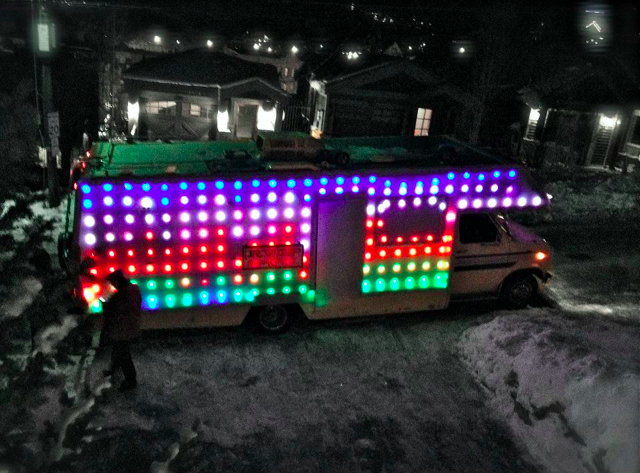 And so the Karaoke RV was born. They rented an RV, drove around downtown Austin during the festival, and opened their doors to anyone and everyone who wanted to sing their hearts out. It was a hit, and the RV has been a SXSW staple ever since (veteran attendees like myself use GroupMe to keep tabs on its whereabouts at all times). For the next few years the team would also rent an RV for a handful of other appearances throughout the year, stopping by at occasional film and music festivals. And then, thanks to the generosity of entrepreneur Tara Hunt, who heads Buyosphere, RVIP had an RV to call its own — Hunt literally gave them a 27′ Winnebago because “she liked what we were doing and wanted us to do it more.” And so they have. The team has systematically demolished and rebuilt the interior of the vehicle to maximize its Karaokeing Capacity, and spent much of last year driving it to events across the country, making appearances at venues including TC Disrupt SF and the Sundance film festival. And they’ve recently purchased a second, much larger RV (a 37′ CAT Diesel A-Class), to expand their potential reach — and participants’ shoulder room. The idea to turn the Karaoke RV into a company, Pantera says, came about late last summer, when she realized that the core team that typically runs the show would be at Burning Man during an event that warranted an RV appearance. So she put together a team to test if the RV could function smoothly when the original founders weren’t onboard. It worked — and they realized that this could be bigger than a hobby. “We wanted to open a bar, but the rent, buildout, and liquor license costs are really high and it takes forever. So we thought about it like a software project and eliminated the hardest features–alcohol sales and a location–and started iterating. It’s a minimum viable bar,” Grubb says. Pantera, an actress and musician by trade — who has worked with Weezer and Beck and has made appearances in films that debuted at Sundance and Cannes — is the company’s CEO. Rounding out the executive team is CTO Scott Watson, the Senior Vice President and CTO of Imagineering at The Walt Disney Company (a position he’ll keep while he simultaneously works at RVIP), whose work includes designing Disneyland rides like Indiana Jones and California Aventure’s Soarin’ Over California. Watson is responsible for converting the RVs into the best karaoke machines they can be — and some of the techniques developed for the RVs are being incorporated into Disney rides. Read that again. These people are awesome. Finally, the company’s advisors include Nate Bolt (who runs SF design firm Bolt Peters); Mark Trammell, Design Researcher at Twitter; and Jon Snoddy, VP of R&D at Disney Imagineering, who has also been involved with big-name rides. 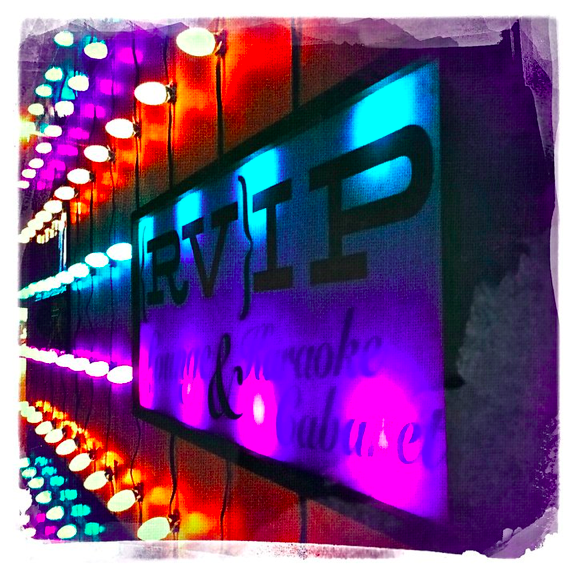 The company is being funded by its founders, but this isn’t just a benevolent force of awesome, — RVIP actually makes money. Venues and events are willing to pay to have the Karaoke RV make an appearance, and, aside from that appearance fee, these events also are responsible for covering the cost of alcohol, which gets freely distributed to any riders who wish to partake (you need to be over 21 to hop onboard). 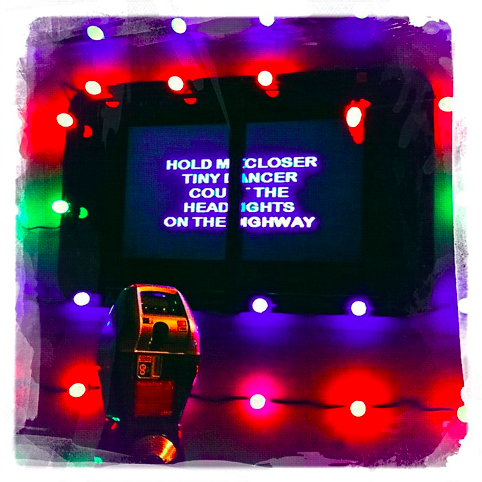 In case it wasn’t clear, I love this: some of my favorite memories took place on the Karaoke RV. If you get a chance, don’t hesitate — jump on and sing the way you do in the shower when no one else is home. Even if you’re a little off-key, or you a miss a few lyrics, it doesn’t matter. Your friends probably won’t remember anyway. You won’t regret it.